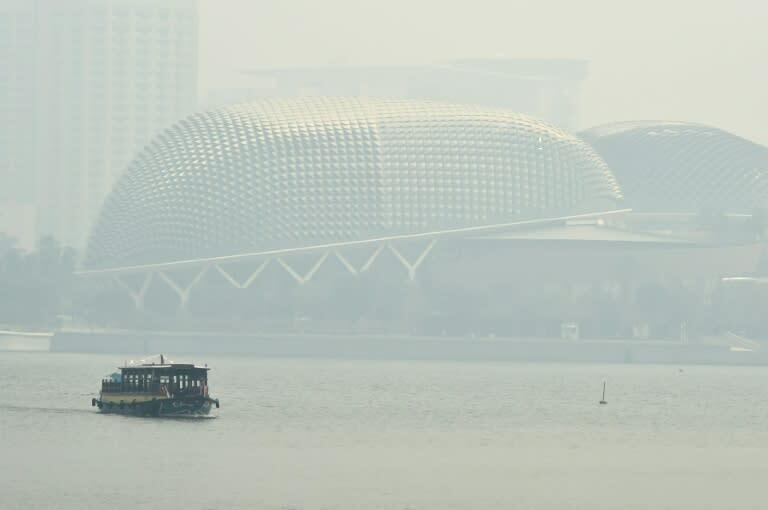 Acrid smog blanketed Singapore Friday as the city-state was hit by the year’s first major outbreak of haze, an annual crisis sparked by forest fires in neighbouring Indonesia. Singapore's air quality index reached unhealthy levels with conditions deteriorating through the day, marking the worst haze episode in the city since vast parts of Southeast Asia were blanketed in smoke in 2015. Last year's haze outbreak was among the worst in memory, shrouding Malaysia, Singapore, and parts of Thailand in acrid smoke. The blazes are started illegally to clear land, typically for palm oil and pulpwood plantations, and Indonesia has faced intense criticism from its neighbours over its failure to halt the annual smog outbreaks. Indonesian police said a total of 463 people have been arrested over forest fires so far in 2016. This is more than double the number arrested over the blazes in the whole of 2015 but the data suggest that most of this year's arrests involved smallholders. Singapore's National Environment Agency (NEA) said the Pollutant Standards Index (PSI) breached "very unhealthy" levels of 215 during the day. PSI levels above 100 are deemed unhealthy and people are advised to reduce vigorous outdoor activity. The NEA added that the smoke was being blown from fires in central Sumatra, the Indonesian island just across the Malacca Strait from Singapore. Visibility from high-rise offices and other vantage points was virtually zero. An AFP photographer said he could hardly see the skyline from one of the city's highest points at Mount Faber, while haze kits sold out at a drugstore chain by lunchtime. Food server Marcus Tan, 28, who works at a riverside restaurant with outdoor seating, said he was worried the haze would agitate his asthma. "I know I'm supposed to wear a mask so I don't have another asthma attack. But do you think anyone will want to eat food served by someone wearing a mask?" he said. Smog was also visible in Kuala Lumpur, the capital of neighbouring Malaysia, over a few days last week but did not breach unhealthy levels. 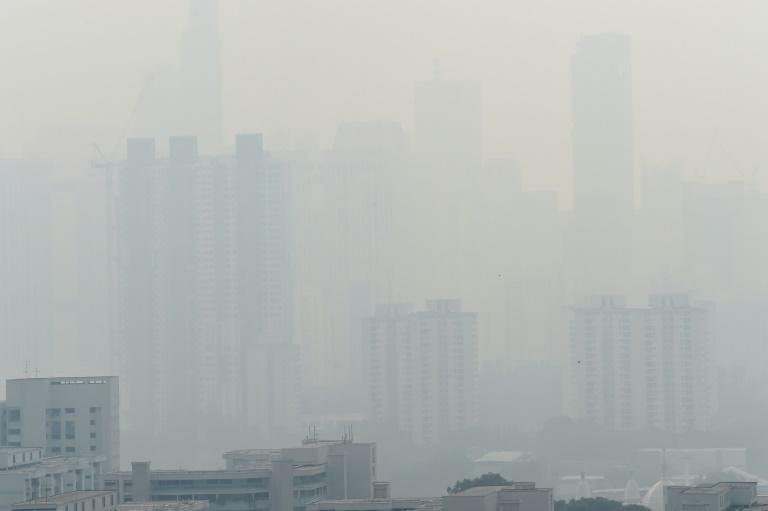 Singapore last September closed schools and distributed protective face masks as the air pollution index soared to hazardous levels following three weeks of being cloaked in smoke. Indonesia's Meteorology, Climatology and Geophysics Agency said on its website that the number of "hotspots" on Sumatra had increased in the past 48 hours. A hotspot is an area of intense heat detected by satellites, indicating a blaze has already broken out or that an area is very hot and likely to go up in flames soon. As of Friday, there were 69 hotspots on Sumatra, up from 43 two days earlier, the agency said. In the Indonesian part of Borneo island –- another area where large numbers of smog-belching fires occur every year -- there were 31 hotspots as of midnight Thursday local time, it added. However there were far fewer fires than at the peak of last year’s crisis, when hundreds burned out of control.